Each year the best in BMX racing all converge into one location to deem who is the best of the best at the UCI BMX World Championships. 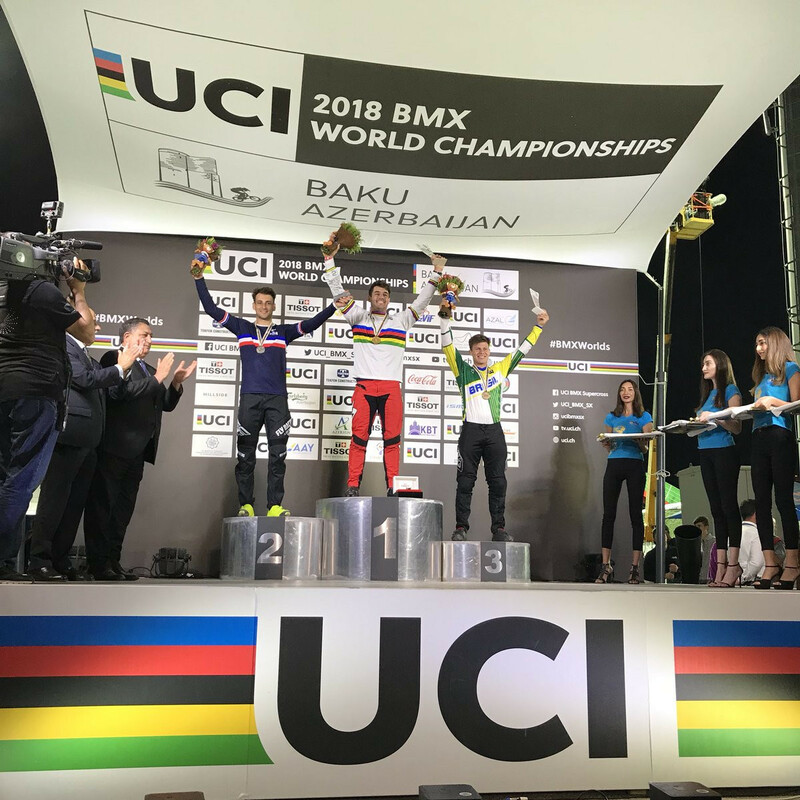 The most prestigious BMX race that is held each year, other than the Olympics, offers an opportunity for one Elite rider in 4 classes, Elite and Jr Men / Woman to take home the rainbow jerseys, to show the grand accomplishment for the next season as being a UCI BMX World Champion. This season, the best riders in thew world all got together in Baku, Azerbaijan to complete for the Championship stripes and glory. The track in Baku is no stranger to hi level completion, as in 2015, it hosted the European Games, where, Joris Daudet was the champion of the day. Now with the entire BMX World in attendance, could he do it once again? Connor Fields and Joris Daudet are no strangers to the UCI Stripes. 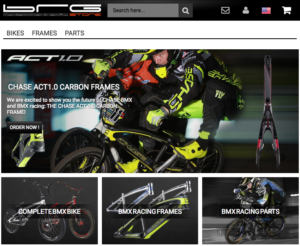 Connor is a 2 time UCI BMX Time Trial World Champion and Joris has had the prestige of winning the UCI BMX Elite Mens World Championship titles 2 times in the past. 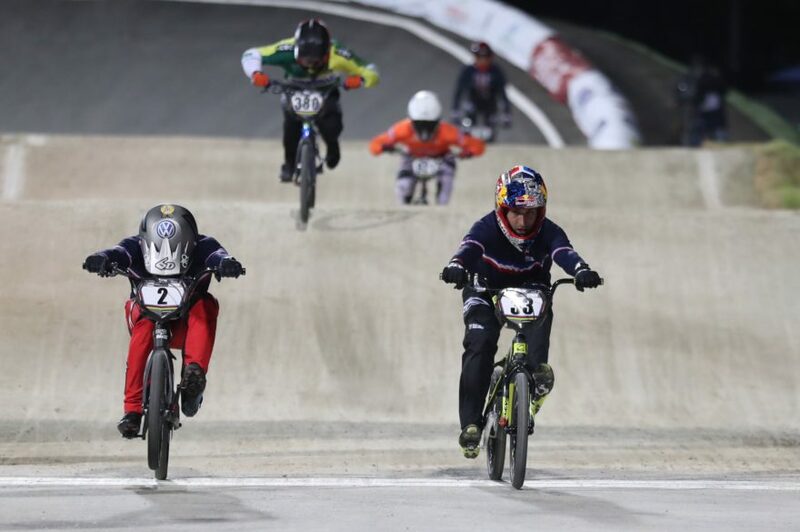 Both are looking for victory in Baku and the way each has risen to the top of the sport over the past few years, it will be a winner take all battle between Chase teammates, but you can never underestimate and top Pro in BMX, on a one day title chase. 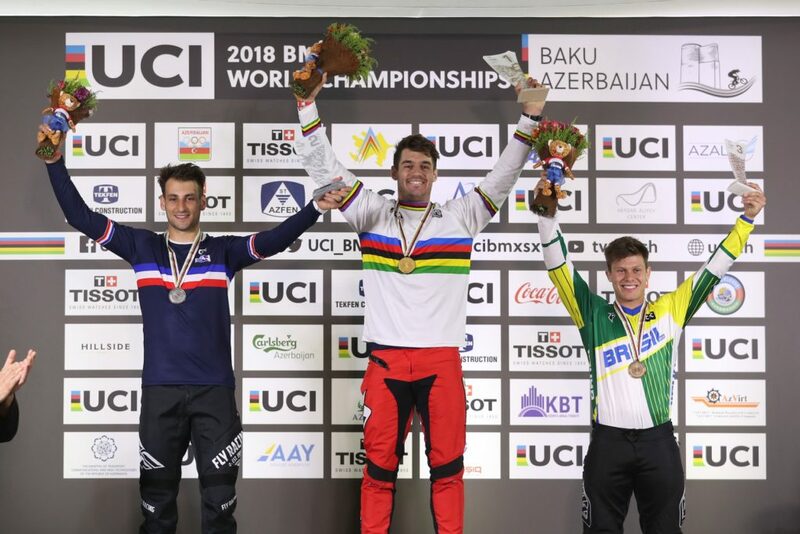 Joris Daudet looked like the rider to beat all day, as he won every lap he took on the Baku BMX track. With consistency on his side, Joris rode his way into the Elite Mens finals, where once the gate dropped, Joris once again was out front. Joris would lead the entire lap and ride flawlessly, until the last straightaway, where 2 small bobbles and a hard charging rider, Sylvain Andre, would change the almost perfect day for Joris. Both riders crossed the line almost at the same time, regulating a photo finish, and unfortunately for Joris, we would go on to finish 2nd place for the night. Heartbreaking for him, but still a impressive ride at the World Championships for sure. 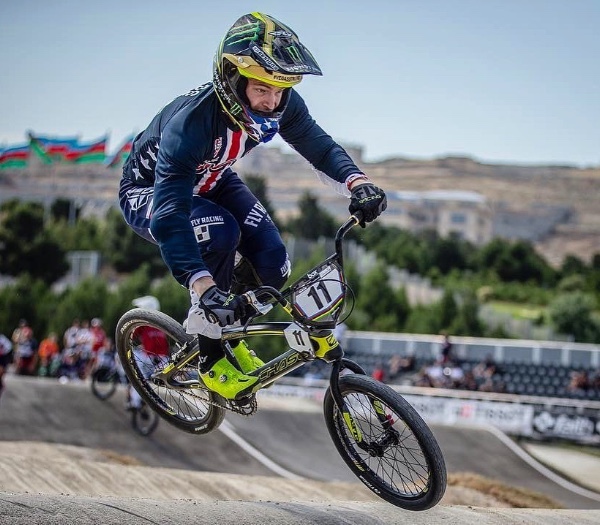 Connor Fields has been recovering from an injury earlier this season sustained at the USA Cycling National Championships, and at the UCI BMX World Championships, where everyone was going 100%, Connor looked strong, but only felts about 85% of his normal self. Conor would make his way thru the qualifying rounds, but his day would end early in the single elimination races, ending his quest for a World title. Both riders now will regroup and focus on the USA BMX tour for the remainder of the season, where Joris currently has a solid lead in the overall points Chase, and Connor is the current USA BMX #1 Pro.